Has written for publications such as BrightHub, eHow, and CNET. Thoke is a web content manager and advisor with experience in digital marketing. Cloud hosting is the latest form of hosting that has become extremely popular over the past few years. The main concept of cloud hosting is "Divide and Rule" – the resources required for maintaining your website are spread across more than one web server, and are rendered as per need basis. This greatly reduces chances of any downtimes in case of a server malfunction. Another noteworthy aspect is that cloud hosting allows you to manage peak loads easily, without facing any bandwidth issues, since another server can provide the additional resources in such a case. Hence, your website doesn't rely on just one server, and rather a cluster of servers that work together and are termed as "the cloud". As explained above, each server in the cloud helps in carrying out a particular set of tasks, and in the case of failure of any of the servers in the cloud, another server (or servers) temporarily kick-in as a back-up to render the required resources. Something similar happens in the case of an overload condition too. However, usage of low-quality server hardware can significantly hamper the performance, and such implementations aren't worthy of being tagged with the “cloud” moniker – this is typically the case with cheap hosting providers. When you provide enterprise-level hosting services, it goes without saying that quality needs to be the prime focus! So, high-quality enterprise cloud providers make use of VMware and deliver extremely reliable cloud services, which are even better than dedicated servers. Now, let's compare cloud hosting with dedicated hosting and other traditional forms of hosting. When you compare dedicated servers to cloud hosting, the reliability factor is a quite solid case in the latter case, since you’ve got multiple servers at your disposal as opposed to a single dedicated server that allows you to cope-up with any emergencies without breaking a sweat. However, the pricing varies depending upon your actual usage – in the case of heavy usage; cost factor associated with cloud architecture may be slightly higher, though so is its resilience too. When you come to VPS and traditional shared hosting, the cost factor is extremely low is this case quite obviously, but again so is the reliability too. In the case of VPS, a single server is divided into multiple chunks, and each portion is managed by a particular user, so the capital investment is reasonably low. VPS is the ideal choice for those who aren't actually looking out for the reliability aspect of cloud hosting. Cloud hosting has come a long way, and several large enterprises have been using it for years together, but for the small business owners to be able to look at it, pricing will have to come down further. Having said so, the pricing has considerably come down over last 4-5years, and folks have learned the advantages of cloud hosting, which is compelling the mid-size organizations to make a move to the cloud arena. Many businesses have made a worthy investment by moving to the cloud, while others haven't yet invested in the infrastructure required to make a transition to the cloud. The main reason why cloud computing isn't as popular as it could have been being that the cost factor is still a concern for small businesses. But, one can definitely expect to see more and more businesses making a shift to cloud as new low-cost cloud implementations continue to be developed, and I wouldn't call it an exaggeration to say – one day everybody would be in the clouds!" Who Needs Cloud Hosting? There's a Good Chance That You do! Bitcoins: What's the Big Deal? Cloud Hosting vs Dedicated Server Hosting - Which Is Preferable? 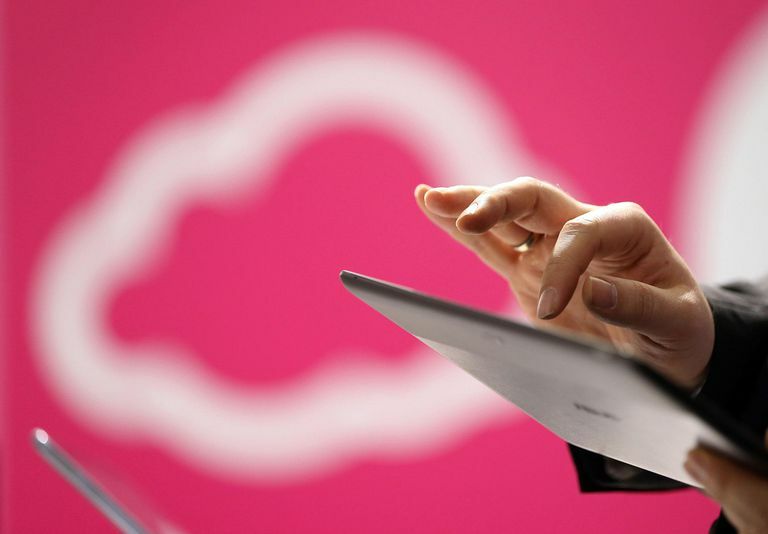 Is the Hybrid Cloud the Best Cloud Computing Solution? What Is Drop Shipping and Why Is Everyone Using It?